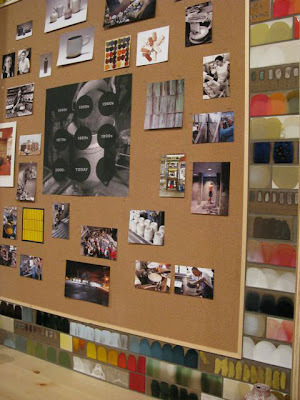 Shots from the opening of the new Heath retail studio in Los Angeles via California Home + Design. 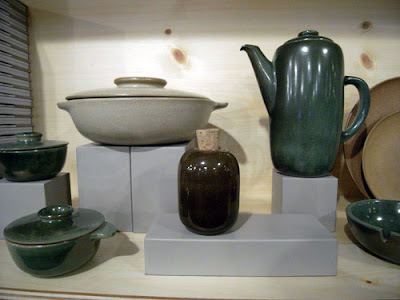 Many of you know of my obsession with Heath Ceramics. I love Edith Heath (her work, her philosophy, her whole vibe), I love every. single. one. 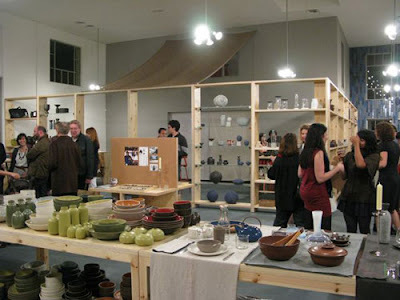 of their pieces, I love the factory and studio in Sausalito… pretty much love it all. 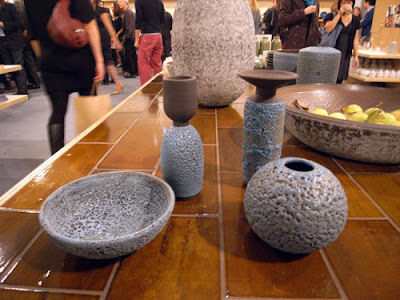 While nothing can compare to the original factory store where they literally roll out “seconds” from the kiln to the shop floor right in front of you (anything with even the slightest flaw immediately gets sold at a discount), the new Heath retail studio in Los Angeles co-launched by potter Adam Silverman of Atwater Pottery seems pretty darn cool. 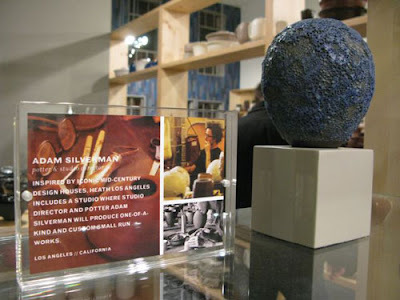 What most intrigues me is the yin and yang of Silverman’s work (he makes highly textured pieces that look almost prehistoric -- like they’re encased in lava rock) alongside Heath’s simple perfection... Having both in the same space seems to make it way more interesting, no? Those of you Angelenos out there have to stop in and report back! It is definitely gorgeous work. And a sweet studio. oh, ha! i just posted my pics from the opening today! Sooo late. it really is a great space. And of course my favorite ceramics. ever. Can I share how embarrassingly joyful I feel every single time I open our kitchen cupboards and see them newly loaded with Heath? It might be unhealthy. But I'm going with it.